China’s Tiangong-1 space station re-entered the earth’s atmosphere and burnt up over the middle of the South Pacific on Monday, the Chinese space authority said. The craft re-entered the atmosphere around 8:15 a.m. Beijing time (0015GMT) and the “vast majority” of it had burnt up upon re-entry, the authority said in a brief statement on its website. It had said shortly before that it was expected to re-enter off the Brazilian coast in the South Atlantic near the cities of Sao Paulo and Rio de Janeiro. Beijing said on Friday it was unlikely any large pieces would reach the ground. The 10.4-metre-long (34.1-foot) Tiangong-1, or “Heavenly Palace 1”, was launched in 2011 to carry out docking and orbit experiments as part of China’s ambitious space programme, which aims to place a permanent station in orbit by 2023. It was originally planned to be decommissioned in 2013 but its mission was repeatedly extended. China had said its re-entry would occur in late 2017 but that process was delayed, leading some experts to suggest the space laboratory was out of control. The Chinese tabloid Global Times said on Monday worldwide media hype about the re-entry reflected overseas “envy” of China’s space industry. 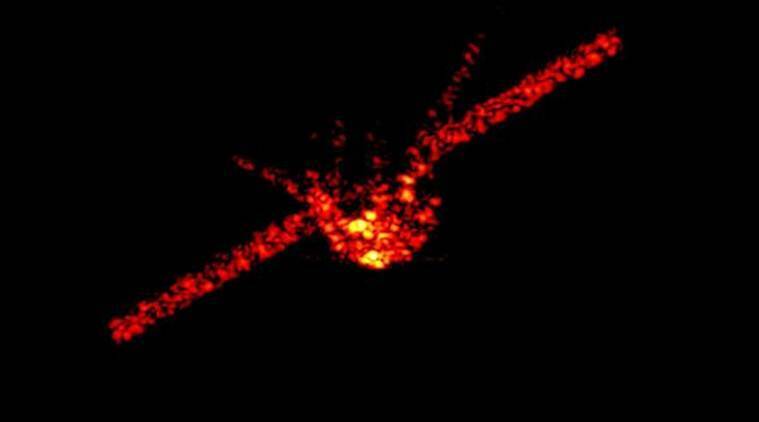 “It’s normal for spacecraft to re-enter the atmosphere, yet Tiangong-1 received so much attention partly because some Western countries are trying to hype and sling mud at China’s fast-growing aerospace industry,” it said.